Make sure you sign up by emailing senior@ravaraproductions.com. You'll be sent an email with information with a link to a sign up form, and you'll also need to email a headshot for audition purposes. Those who have completed the form will then be posted an information letter. Please note the online sign up is essential. At the senior auditions only, selected auditionees will be asked to attend callbacks on Tuesday 15th April 2014 (more information will be included in the letter). See you at the auditions! 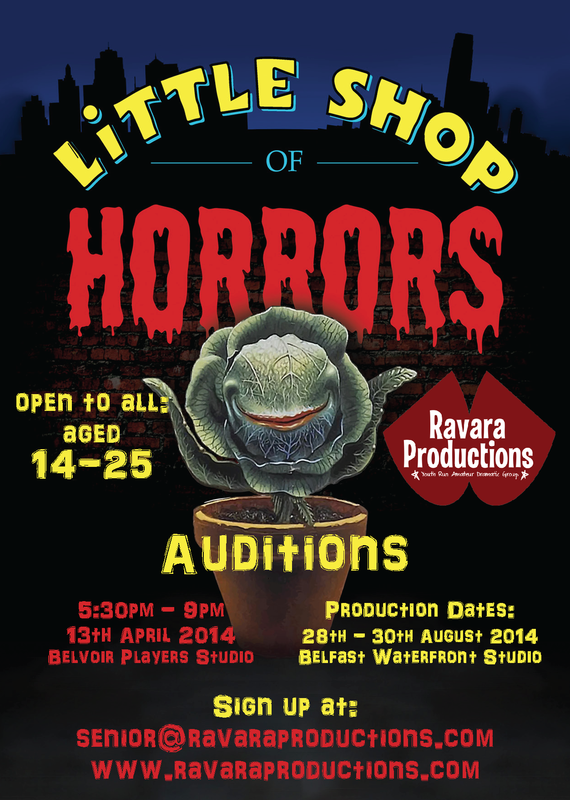 It's important you come to your audition with a knowledge of the synopsis of Little Shop of Horrors.